We are Helen and Bob and we set up the Ludlow Nut Company in 2004. Previously, I was director of travel in a company based in the City of London and Bob pursued a career in Local Government. Helen focuses on customer service and administration. Bob is recipe developer-in-chief. He has a flair for flavour combination and is obsessed with texture (very important for porridge!). Escaping from city and corporate life is a dream for so many people, and that’s exactly what we did, we upped sticks from London and moved to the medieval market town of Ludlow in Shropshire. Moving to Ludlow turned out to be life changing for us. Business fascinated me to the extent that I completed an MBA while working full time. I had often thought of setting up my own business and being my own boss. I was also interested in healthy eating and nutrition; I’m a keen runner and cyclist and recently completed a cycle from Ludlow to Paris for which I raised over £1,000 for Kidney Research UK. 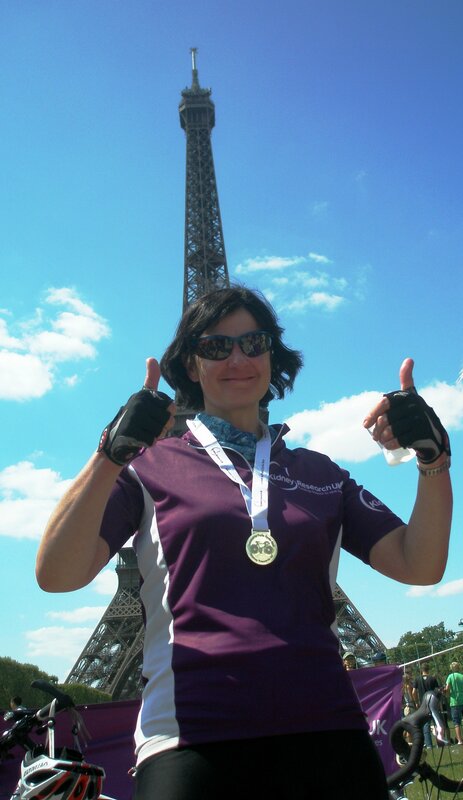 Helen having completed the London-Paris cycle. Hard work but worth it. 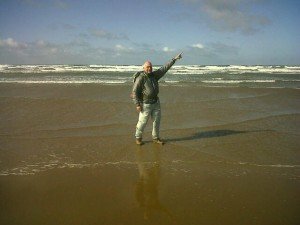 Bob doing the coast-to-coast (the Irish sea to the North sea) walk in May. The challenge of running my own business and my interest in nutrition and healthy eating inspired me to take the plunge with Bob and set up the Ludlow Nut Company. Our very first products were quality, heart-healthy dried fruits and nuts. We now make a wide range of healthy food for busy people including luxury porridges, mueslis, granolas and a range of nut butters. We also supply an array of best quality nuts, seeds, dried fruits, superfoods and sweet and savoury snacks. So if you’re a home baker of cakes or breads do check our selection. Sometimes a little indulgence is a good thing. Wonderful customer feedback tells us we’re getting flavour and quality right! The Guild of Fine Foods thinks so too and has awarded us several gold stars. In fact, Selfridges have chosen our nut butters & nut based snacks for their "In-Balance" range of lifestyle foods . You can see a complete list of our stockists here. 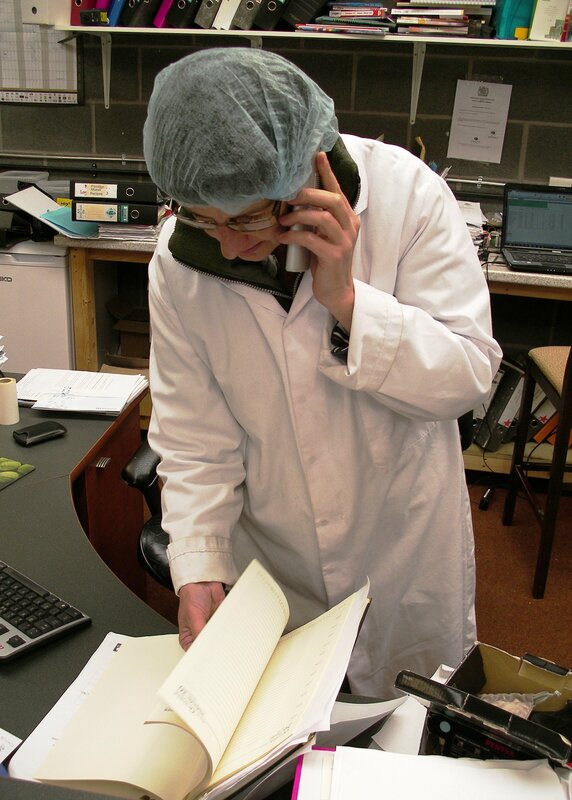 What Will You Enjoy When You Order From The Ludlow Nut Company? 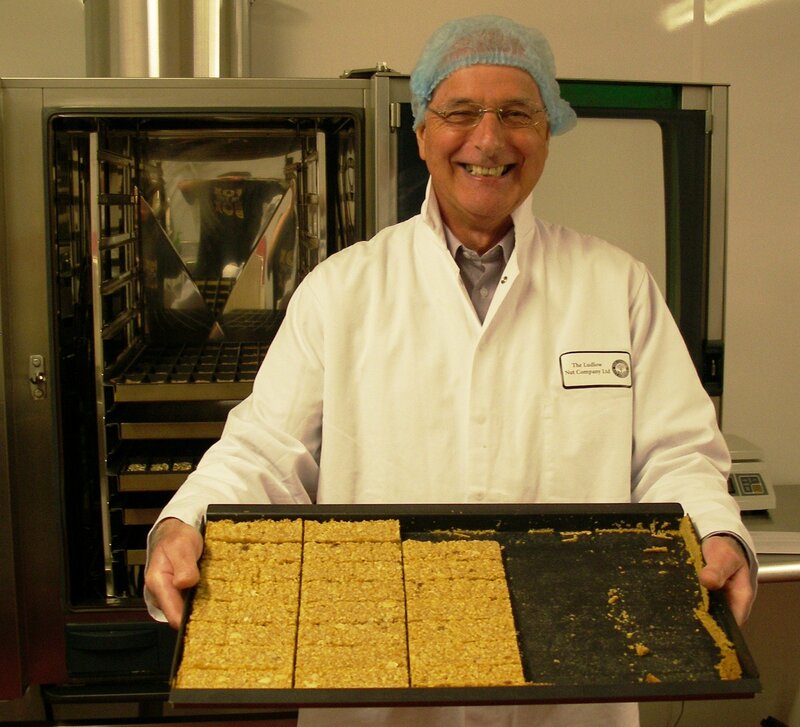 • We don’t add artificial preservatives, colourings, sugar or salt to any of our muesli, granola or porridge mixes. Our nut butters are free from any artificial preservatives, colourings or added sugar. • Many of our products are gluten-free. • When you buy our products you can be assured of quality because we adhere to strict, externally audited standards — we are a Safe And Local Supplier Accredited (SALSA) quality food producer. • We don’t outsource our production. As artisan producers we make, bake or mix our products by hand in small batches in our kitchen in Ludlow. Our attention to detail means you will enjoy exceptional quality. • We store all our products in our modern, climate controlled production unit, which means you’ll always receive them in peak condition. • Our easy and secure online ordering system means peace of mind for you. • We have a rapid and reliable delivery service because eating healthily shouldn’t be a chore. • We will give you excellent customer service. If you call, you’ll most likely speak to me, Helen. My focus is making sure our customers are happy. We are eager to hear what you think of our products and our service and how we can improve them, so why not follow us on Facebook or Twitter. You can also hear our news by signing up for our newsletter or blog.